An awe-inspiring book for young readers, Wow! 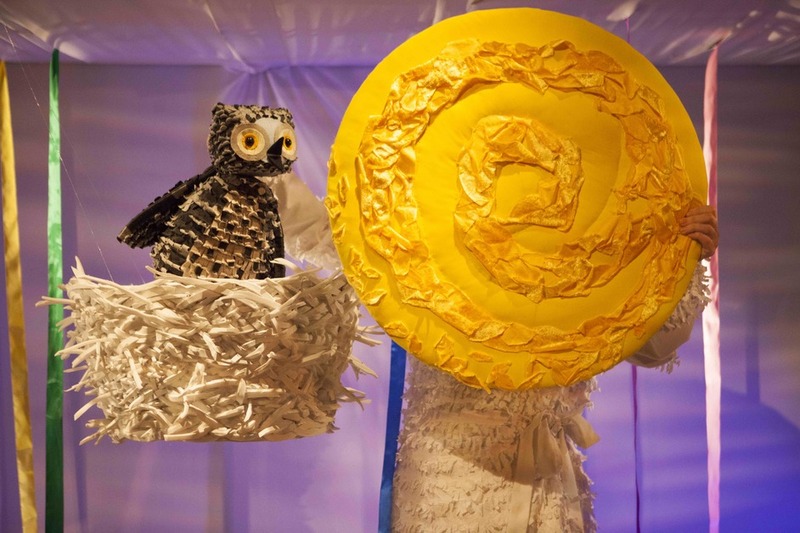 Said the Owl by award winning author Tim Hopgood, has inspired the Little Angel Theatre to create production for the very young. Children as young as two will enjoy the world of colours with this curious little owl who, unlike other little owls, stays awake the whole day long. Beautiful colours of the pink sky, green leaves, and golden sun inspire this not-so nocturnal creature to stay awake through the day. But it's not until night that the stars produce the biggest wow factor of all. A blend of beautiful story-telling, puppetry and music directed by Joy Haynes, this show will delight and theatre goers under four years old. What are the best dining options near Wow! Said The Owl London? Wow! Said The Owl gyms, sporting activities, health & beauty and fitness. The best pubs near London Wow! Said The Owl. Wow! Said The Owl clubs, bars, cabaret nights, casinos and interesting nightlife. Where to have your meeting, conference, exhibition, private dining or training course near Wow! Said The Owl. From cheap budget accommodation to luxury 5 star hotels see our special offers for JW3 hotels, including Danubius Hotel Regents Park from 0% off.